Mustang have been manufacturing horse floats and trailers for the past 15 years. 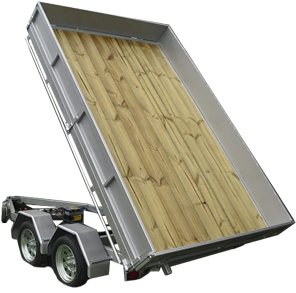 All our floats and trailers are custom built to your specifications and only top quality components are used in manufacturing. I just wanted to let you both know how happy I am with my new float, I am so glad I did my homework and went with a Mustang Float it is so strong and well made, great workmanship, and quality components, no corners cut to save money. I live in West Auckland and would be more than happy for anyone considering buying one of your floats to come and look at mine. Thanks again its been a pleasure dealing with you both. "We are absolutely over the moon with the standard of workmanship and the general presentation of the float. We look forward to taking the float out & about & showing if off"
Just wanted to say a big THANK YOU for the float, I love it!!!! I have a very fussy friend who went over the float from top to bottom and he found it very hard to pick any holes in the design and build, this is big for him because he can find faults in everything!!! It tows very well, very well balanced and light to pull, so again thank you. I will be recommending your floats to anyone that is looking!!" © Copyright 2016 Mustang Horse Floats.